A lot of you have been requesting I share a picture about my tattoo. I’m sharing it and and explaining a little bit of what it means to me. First of all, this is my third tattoo. All three of my tattoos are pretty meaningful to me in the sense that they have a faith based message that I take personally. The third one, the biblical fish and the words “faith” represent my devotion to keeping hope and faith that everything in life will be okay. Last year I had a pretty heavy cross to carry, but my faith, love, passion, struggle, and hope sought me through it. Because I feel I’m in a much better place, I celebrated a year of new beginnings by getting this tattoo. Besides the tattoo, I’ve gotten a lot more new things. 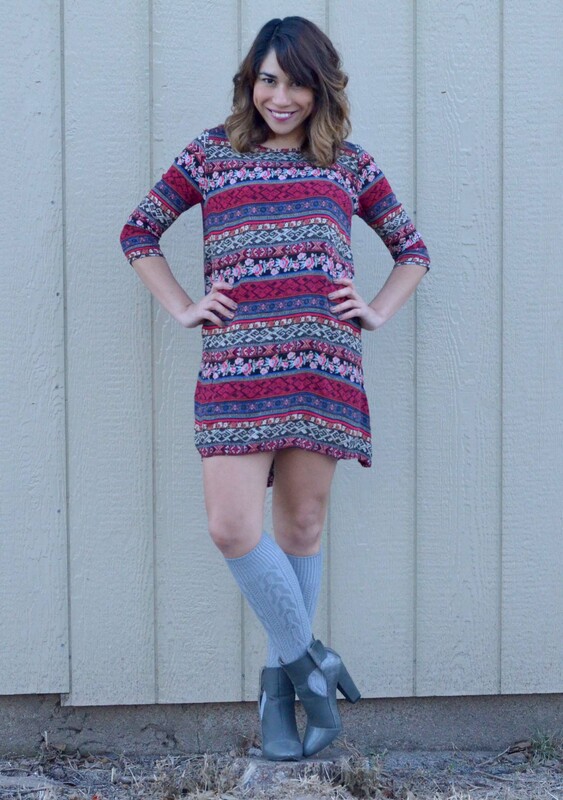 Like this dress, the boots, and I’ve been a wearing knee high socks and tights a lot lately (that’s new as well). Everything about me recently has been new, from my wardrobe to my attitude.